For other uses, see Heinz (disambiguation). For the eponymous founder of the H. J. Heinz Company, see Henry J. Heinz. The H. J. Heinz Company, better known as Heinz, is an American food processing company based in Pittsburgh, Pennsylvania. Originally, the company was founded by Henry John Heinz in 1869. Heinz manufactures thousands of food products in plants on six continents, and markets these products in more than 200 countries and territories. The company claims to have 150 number-one or number-two brands worldwide. Heinz ranked first in ketchup in the US with a market share in excess of 50%; the Ore-Ida label held 46% of the frozen potato sector in 2003. Since 1896, the company has used its "57 Varieties" slogan; it was inspired by a sign advertising 21 styles of shoes, and Henry Heinz chose the number 57 even though the company manufactured more than 60 products at the time. In February 2013, Heinz agreed to be purchased by Berkshire Hathaway and the Brazilian 3G Capital for $23 billion. On March 25, 2015, Kraft announced its merger with Heinz, arranged by Berkshire Hathaway and 3G Capital. The resulting Kraft Heinz Company is the fifth largest food company in the world. Berkshire Hathaway became a majority owner of Heinz on June 18, 2015. After exercising a warrant to acquire 46 million shares of common stock for a total price of over $461 million, Berkshire increased its stake to 52.5%. The companies completed the merger on July 2, 2015. Heinz trade card from the 19th century, promoting various products. Features the Heinz pickle. Heinz was founded by and is named for Henry J. Heinz, who was born in the United States to German immigrants. His father was originally from Kallstadt (then in Bavaria, now part of Rhineland-Palatinate), the son of a Heinz and Charlotte Louisa Trump, a great-great-aunt of 45th United States president, Donald Trump. [clarification needed] His mother Anna was also from Bavaria, and they met in Pittsburgh. Henry J. Heinz began packing foodstuffs on a small scale at Sharpsburg, Pennsylvania, in 1869. There he founded Heinz Noble & Company with a friend, L. Clarence Noble, and began marketing horseradish. The first product in Heinz and Noble's new Anchor Brand (a name selected for its biblical meaning of hope) was his mother Anna Heinz's recipe for horseradish. The young Heinz manufactured it in the basement of his father's former house. The company went bankrupt in 1875. The following year Heinz founded another company, F & J Heinz, with his brother John Heinz and a cousin, Frederick Heinz. One of this company's first products was Heinz Tomato Ketchup. The company continued to grow. In 1888, Heinz bought out his two partners and reorganized the company as the H. J. Heinz Company. Its slogan, "57 varieties", was introduced by Heinz in 1896. Inspired by an advertisement he saw while riding an elevated train in New York City (a shoe store boasting "21 styles"), Heinz picked the number more or less at random because he liked the sound of it, selecting "7" specifically because, as he put it, of the "psychological influence of that figure and of its enduring significance to people of all ages." In 1905, H. J. Heinz was incorporated, and Heinz served as its first president, holding that position for the rest of his life. Under his leadership, the company pioneered processes for sanitary food preparation, and led a successful lobbying effort in favor of the Pure Food and Drug Act in 1906. In 1908 he established a processing plant in Leamington, Ontario, Canada for tomatoes and other products. Heinz operated it until 2014, when it was sold. Heinz was a pioneer in both scientific and "technological innovations to solve problems like bacterial contamination." He personally worked to control the "purity of his products by managing his employees", offering hot showers and weekly manicures for the women handling food. During World War I, he worked with the Food Administration. In 1914, Heinz Salad Cream was invented in England. In 1930, Howard Heinz, son of Henry Heinz, helped to fight the downturn of the Great Depression by selling ready-to-serve quality soups and baby food. They became top sellers. During World War II, "Jack" Heinz led the company as president and CEO to aid the United Kingdom and offset food shortages. Its plant in Pittsburgh was converted for a time to manufacture gliders for the War Department. In the postwar years, Jack Heinz expanded the company to develop plants in several nations overseas, greatly expanding its international presence. He also acquired Ore-Ida and Starkist Tuna. In 1959, long-time Heinz employee Frank Armour Jr. was elected president and COO of H. J. Heinz Co., succeeding H. J. Heinz II. He was the first non-family member to hold the job since the company started in 1869. He became vice chairman in 1966, and later became chairman and CEO of Heinz subsidiary, Ore-Ida Foods Inc. In 1969, Tony O'Reilly joined the company's UK subsidiary, soon becoming its managing director. He moved to Pittsburgh in 1971 when he was promoted to Senior Vice President for the North America and Pacific region. By 1973, board members Robert Burt Gookin and Jack Heinz selected him as COO and President. He became CEO in 1979 and chairman in 1987. Between 1981 and 1991, Heinz returned 28% annually, doubling the Standard & Poor's average annual return for those years. By 2000, the consolidation of grocery store chains, the spread of retailers such as Walmart, and growth of private-label brands caused competition for shelf space, and put price pressure on the company's products. The decline was also attributed to an inadequate response to broad demographic changes in the United States, particularly the growth in population among Hispanic and increased spending power of African Americans. On April 4, 1991, former U.S. Senator Henry John Heinz III, the third-generation successor to the Heinz fortune, and six other people were killed when a Bell 412 helicopter and a Piper Aerostar with Heinz aboard collided in mid-air above Merion Elementary School in Lower Merion Township, Pennsylvania. His fortune passed to his wife, Teresa Heinz. In 1998, Tony O'Reilly left Heinz after issues with the company's performance. He faced challenges from corporate governance groups and pension funds including CalPERS. He was succeeded by his deputy, William R. Johnson. In 2001, Heinz acquired the pasta sauce, dry bouillon and soup business of Borden Foods. CEO William R. Johnson stated that "They fit very well with our tomato-based expertise". Billionaire Nelson Peltz initiated a proxy battle during 2006, culminating in a vote to place five of Peltz's nominees on the Board. After the final vote, two of the five nominees joined the Heinz Board. The new members of the board were Nelson Peltz and Matthew Craig Walsh. In June 2008, Heinz began an advertising campaign in the UK for their new 'New York Deli Mayo' products. The advertisement featured two men kissing in a family setting, which drew 200 complaints to the Advertising Standards Authority. On June 24, 2008 Heinz withdrew the advertisement, which had been planned for a five-week run. The company said that some of its customers had expressed concerns. Withdrawing the advert was also controversial, with critics accusing Heinz of homophobia. The gay rights group Stonewall called for a boycott of Heinz products. Some expressed surprise that it had responded to what they said was a relatively small number of complaints, compared to the UK's estimated 3.6 million gay and lesbian consumers. MP Diane Abbott called the decision to withdraw the advert 'ill-considered' and 'likely to offend the gay community'. On February 14, 2013, it was announced that Heinz would be purchased by Berkshire Hathaway and 3G Capital for $23 billion. Including debt assumption the transaction was valued at $28 billion. According to Heinz, the deal was the largest in food industry history. Berkshire Hathaway and 3G would each own half of Heinz, with 3G running the company. Berkshire and 3G paid $72.50 a share. The acquisition was completed in June of that year. Berkshire and 3G immediately named Bernardo Hees, former chief executive of Burger King Worldwide Inc, as the CEO. On August 13, 2013, Heinz announced it was cutting 600 jobs in North America. On October 25, 2013, fast-food chain McDonald's announced it would end its 40-year relationship with Heinz, after the former Burger King chief Hees became its CEO. On March 25, 2015, Kraft Foods Group Inc. announced that it would merge with the H.J. Heinz Company, owned by 3G Capital and Berkshire Hathaway Inc., to form the world's fifth-largest food and beverage company. The companies completed the merger on July 2, 2015. The company's world headquarters are in Pittsburgh, Pennsylvania, where the company has been located since 1890. The company's "keystone" logo is based on that of Pennsylvania, the "keystone state". A majority of its ketchup is produced in Fremont, Ohio. Heinz Field was named after the Heinz company in 2001. Heinz opened a pickle factory in Holland, Michigan, in 1897, and it is the largest such facility in the world. The Heinz Portion Control subsidiary is located in Jacksonville, Florida, and produces single-serving containers of ketchup, mustard, salad dressings, jams, jellies and syrups. Heinz also has factories in the following locations: Arizona (Phoenix); California (Chatsworth, Escalon, Irvine, San Diego); Florida (Fort Myers); Idaho (Pocatello); Iowa, (Cedar Rapids, Muscatine); Massachusetts (Newburyport); Ohio (Mason, Massillon); Oregon (Ontario), and South Carolina (Florence). In 2000, seven retailers, including Walmart, Albertsons, and Safeway, comprised half of the company's sales by volume. Heinz-Watties factory in Wagga Wagga, New South Wales. Heinz Australia's head office is located in Melbourne. Products include canned baked beans in tomato sauce (popularized in the "beanz meanz Heinz" advertising campaign), spaghetti in a similar sauce, and canned soup, condensed soup, and "ready to eat" soups. 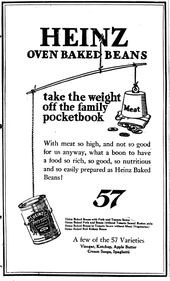 Heinz manufactures "Big Red" tomato sauce, and a number of flavored baked bean varieties, as well as canned meals. Heinz also markets the Wattie's brand of canned foods, which are made in New Zealand. On October 6, 2008, Heinz announced plans to acquire the Australian company Golden Circle which "manufactures more than 500 products, including canned fruit and vegetables, fruit juices, drinks, cordials and jams." On May 27, 2011, Heinz announced it would close its factory in Girgarre, Victoria, and downsize its factories in Northgate (Brisbane), and Wagga Wagga, with loss of more than 300 jobs. Heinz has other factories in Echuca and Mill Park. On January 6, 2012, Heinz closed its tomato sauce factory in Girgarre as announced in the previous May. 146 workers lost their jobs. A local group was seeking to purchase the factory and start its own production, with offers of financial assistance from investors. The group's first offer for the site was rejected by Heinz. Girgarre was the second to last tomato sauce factory in Australia, and its closing brought an end to Heinz's 70 years of tomato processing operations in Australia. Heinz was established in Canada in 1908 in a former tobacco factory in Leamington, Ontario (known as the Tomato Capital of Canada). Most products shipped from Leamington have bilingual English and French labels for distribution throughout Canada, but a substantial amount of product is sent from there to the US. Ketchup is the main product produced there, and the city has been a center of tomato production. The factory also produces Canada Fancy (Grade A) tomato juice, mustard, vinegar, baby food, barbecue sauces, canned pastas, beans, pasta sauces, gravies and soups. Heinz Canada is the major supplier of single-serving and flexible-packaging condiments for most fast food chains in Canada. Leamington is the largest tomato-processing region per acreage in the world. The Leamington plant usually processes more than 250,000 tons of tomatoes per year. Heinz Canada's head office is in North York, Ontario; it also has operations in St. Marys, Ontario; Montreal, Quebec; and Calgary, Alberta. On November 14, 2013, Heinz announced that the Leamington facility, the second-largest in the company, would close sometime in May 2014. Ketchup processing operations were to be consolidated at the company's US locations. Over 800 local jobs were lost due to the town's largest employer ending operations there. A local effort began in an attempt to save the 105-year-old Leamington plant, and it included creating a Facebook page to gather support. On February 27, 2014 the Highbury Canco Corporation signed a letter of intent to acquire and operate the facility. In April it was reported that Highbury Canco Corporation had received a one-year license to process tomatoes at the facility, saving some 250 jobs. As a result of this corporate restructuring and the angry Canadian response, a rival food company, French's, began producing their own ketchup brand using Leamington produce. It marketed the brand with an appeal to Canadian patriotism. This successful campaign, combined with a Canadian grassroots effort on Facebook encouraging purchasing of the French's product, resulted in Heinz's market share in Canada dropping from 84 to 76%, a significant shift in a mature market. This undesirable development was exacerbated in 2018 when Canadian tariffs were erected against specific American exports, which includes ketchup produced in the United States, in retaliation to the US President Trump's tariffs on Canadian steel and aluminum exports. Heinz conducted a belated public relations campaign in Canada to try to counter the public anger against them, a task made more difficult by public sentiment rising to encourage a boycott of American goods in reaction of US President Trump's rhetoric against Canada. Heinz Ketchup is available in India in two varieties, the standard Tomato Ketchup and Tomato Chili Sauce. As Indian taste preferences vary among the regions, Western brands such as Heinz must work on Indian interpretations of ketchups for sale in the country. Heinz acquired the former foods division of Glaxo India, gaining the Complan, Glucon D, Glucon C, Sampriti Ghee, and Nycil products and brands. In 2018, Heinz sold a portion of the business, including Complan and Glucon-D, for $627.18 million. Sambal Asli ABC, a Heinz ABC product. H. J. Heinz Company entered Indonesia in 1999, when it acquired 65 percent share of PT. ABC Central Food, for US$70 million, and formed PT. Heinz ABC Indonesia. The company is based in Jakarta, and manufactures sauces, condiments, juices and syrups. Serving demand from Indonesia's large population and growing economy, in the early 21st century PT. Heinz ABC Indonesia is the largest Heinz's business in Asia, and one of the largest in the world. It employs 3000 employees, has 3 production facilities, 8 packing facilities, and an extensive distribution network in Java and other parts of Indonesia. Their leading products are Syrup ABC (fruit syrup), Kecap ABC (sweet soy sauce), and Sambal ABC (hot chili sauce). Heinz sells many products in the Netherlands; the Elst factory in Gelderland is the primary production facility for Heinz sauces for Western Europe. In 2006, production of both HP Sauce and Daddies was transferred from Birmingham, West Midlands to Elst as a result of the acquisition of HP Foods and the subsequent closure of the Aston factory. Subsequently, Heinz suffered severe supply issues for the ex-HP Foods brands as the Elst factory struggled to integrate production, resulting in significant negative coverage from UK retailers. Heinz was forced to begin bottling sauce in Spain, shipping ready-made sauce from Elst, to get product back into supply. 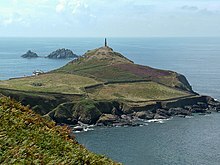 The Heinz Monument (the 1864 chimney of the former Cape Cornwall Mine, visible in the centre) commemorates the purchase of Cape Cornwall for the nation by H. J. Heinz Company. The ruins of St. Helens Oratory can be seen on the left, with the two offshore rocks called.The Brisons in the distance. The UK headquarters moved from Hayes to the Shard in London. After opening its first overseas office in London in 1896, the company opened its first UK factory in Peckham, south London in 1905. This was followed by a factory at Harlesden, north-west London in 1919. Bombed twice in World War 2, this factory remained in production until 2000. Production was started at a former munitions factory at Standish near Wigan in 1946, before the new factory at Kitt Green, near Wigan, opened in 1959. Heinz also had an infant food factory in Kendal, Cumbria. The site specialized in baby milks, previously under the brand of Farley's, but then manufactured under the name Heinz Nurture. Heinz produces oriental foods sold under the Amoy brand, used under license from Ajinomoto Co. Inc., Tokyo, Japan. In July 2001, the Food Standards Agency of the Government of the United Kingdom found Heinz canned baked beans products to be contaminated with the hormone disruptor bisphenol. In June 2009, a company PR stunt announced they had introduced the prototype of the world's smallest, portable microwave, the "Beanzawave". The microwave was to appeal to office workers and students and can be powered by a computer via a USB port. The microwave may be used to heat up coffee or tea, or small food items. It is also good for heating up Heinz's hot snack line, Snap Pots, for which it was designed. The prototype was designed by microwave expert, Gordon Andrews and industrial designer, Stephen Frazer. In 2013, the Kitt Green facility was listed as one among the world's five largest manufacturing units by the Discovery Channel (the list comprised Reliance's Jamnagar Refinery, Volkswagen's car plant, Kitt Green Foods plant, NASA's Kennedy Space Center and POSCO's steel plant). It is Europe's largest food factory and turns over more than 1 billion cans every year. On February 22, 2013, Sanquan Food, a Chinese frozen food company, signed a contract to purchase LongFong Food, a subsidiary of Heinz Company in China. With this sale, Heinz (China) will focus on infant foods and sauces in emerging markets such as China. Heinz Hong Kong Limited is the regional office serving for operations in Hong Kong, China and Taiwan. ^ a b c d e Creswell, Julie (September 18, 2000). "Bottled Up Profits aren't flowing like they used to at packaged-goods companies. Can green ketchup and Tuna in a Pouch save Heinz?". Fortune. CNNMoney.com. Archived from the original on February 8, 2013. Retrieved August 31, 2012. ^ "About". Heinz. Retrieved February 11, 2014. ^ a b Byrne, Brendan (March 27, 2013). "Heinz Set For Shareholder Vote". Valuewalk.com. Heinz is as international as they come claiming to have 150 number-one or number two-brands worldwide. ^ "Mr. Potato Head A dirt-poor farmer turned spud scraps into gold". CNN Money. November 1, 2003. ^ "Berkshire Hathaway, 3G Buying Heinz for $23.3 Billion". Cnbc.com. November 21, 2012. Retrieved February 14, 2013. ^ "3G Capital, Berkshire to Buy Kraft Foods, Merge It With Heinz". Bloomberg. March 25, 2015. Retrieved March 25, 2015. ^ "H.J. Heinz Company and Kraft Foods Group Sign Definitive Merger Agreement to Form The Kraft Heinz Company". H.J. Heinz Press Release. March 25, 2015. Retrieved March 25, 2015. ^ Feeney, Nolan (March 25, 2015). "Kraft and Heinz Merge to Become World's 5th-Largest Food Company". TIME magazine. ^ Cabural, Marie (June 18, 2015). "Berkshire Hathaway Becomes Majority Owner of H.J. Heinz Company". ValueWalk. Retrieved June 19, 2015. ^ "The Kraft Heinz Company Announces Successful Completion of the Merger between Kraft Foods Group and H.J. Heinz Holding Corporation" (PDF). The Kraft Heinz Company. July 2, 2015. Archived from the original (PDF) on July 14, 2015. Retrieved January 23, 2015. ^ a b c Reynolds, Francis J., ed. (1921). "Heinz, Henry John" . Collier's New Encyclopedia. New York: P.F. Collier & Son Company. ^ Kendall, Joshua (2013). America's Obsessives: The Compulsive Energy That Built a Nation. Grand Central Publishing. p. 304. ISBN 9781455502363. ^ Petrick, Gabriella M. (2009). "Feeding the Masses: H.J. Heinz and the creation of industrial food". Endeavour. Elsevier Ltd. 33 (1): 29–34. doi:10.1016/j.endeavour.2008.11.002. PMID 19181382. Retrieved February 6, 2015. ^ "Heinz - History". Heinz.com. H.J. Heinz Company. Retrieved June 11, 2015. ^ "PERSONNEL: Change of the Week, Jan. 19, 1959". TIME. TIME Magazine. Retrieved January 25, 2016. ^ "Search Results Guiding Force Behind Heinz Hall, Frank Armour Jr. Dies At 69". The Pittsburgh Press. Retrieved January 25, 2016. ^ Berry, Lynn (April 5, 1991). "Sen. Heinz killed in plane crash". Gettysburg Times. Retrieved September 11, 2012. ^ "Heinz buys Borden units for $270M - Jun. 6, 2001". Retrieved July 16, 2018. ^ Booth, Jenny (June 24, 2008). "Heinz pulls mayonnaise ad over gay kiss furore". The Times. London. Retrieved June 25, 2008. ^ Sweney, Mark (June 24, 2008). "Heinz pulls ad showing men kissing". The Guardian. London. Retrieved June 25, 2008. ^ Judd, Terri (June 25, 2008). "Kiss goodbye to your sales, Stonewall tells 'homophobic' Heinz after advert is pulled". The Independent. London. Retrieved June 25, 2008. ^ Summerskill, Ben (June 24, 2008). "Beanz meanz bigotz". The Guardian. London. Retrieved June 25, 2008. ^ "Early Day Motion 1889". Edmi.parliament.uk. Retrieved December 23, 2011. ^ a b c Berkowitz, Ben; Geller, Martinne (February 15, 2013). "Buffett, Brazil's 3G team up for $23 billion Heinz buyout". Reuters. Retrieved February 15, 2013. ^ Holm, Erik (February 14, 2013). "In Heinz, Berkshire to Let Others Run Show". The Wall Street Journal. Retrieved February 15, 2013. ^ Tracer, Zachary (February 14, 2013). "Berkshire joins 3G Capital to buy Heinz in $23 billion deal". The Washington Post. Retrieved February 15, 2013. ^ "McDonald's Is Cutting Ties With Heinz For Hiring Former Burger King CEO". October 25, 2013. Retrieved October 25, 2013. ^ "Heinz to Shed 600 Jobs in North America". The Wall Street Journal. August 13, 2013. Retrieved August 14, 2013. ^ Baertlein, Lisa. "Ketchup changeup: McDonald's dropping Heinz after CEO change". Yahoo Finance. Retrieved October 26, 2013. ^ "H.J. Heinz Company And Kraft Foods Group Sign Definitive Merger Agreement To Form The Kraft Heinz Company" (Press release). March 25, 2015. Retrieved March 26, 2015. ^ "The Kraft Heinz Company Announces Successful Completion of the Merger between Kraft Foods Group and H.J. Heinz Holding Corporation" (PDF) (Press release). The Kraft Heinz Company. July 2, 2015. Archived from the original (PDF) on July 14, 2015. Retrieved January 23, 2015. ^ Pickrell, Kristen. "8 Surprising Things Manufactured In Jax". Metro Jacksonville. Retrieved September 10, 2015. ^ a b "Opportunities at Heinz". Heinz Australia. May 27, 2011. Retrieved May 27, 2011. ^ "Our Products". Heinz Australia. 2015 HJ Heinz Co Ltd. Retrieved May 31, 2015. ^ a b "Heinz eyes up local icon Golden Circle". News Corporation. October 6, 2008. Archived from the original on October 7, 2008. Retrieved October 6, 2008. ^ Gearin, Mary (May 27, 2011). "Over 300 jobs lost in Heinz restructure". ABC News. Australian Broadcasting Corporation. Retrieved May 27, 2011. ^ "Heinz Australia announces productivity initiatives to accelerate future growth" (Press release). Heinz Australia. May 27, 2011. Retrieved May 27, 2011. ^ a b Lauder, Simon (January 6, 2012). "Heinz sauce factory closing today". ABC News. Retrieved January 6, 2012. ^ Staff Writers (November 2, 2011). "Investor pledges millions towards Heinz plant". ABC News. Retrieved January 6, 2012. ^ Heasley, Andrew (January 6, 2012). "146 jobs to be lost as Heinz closes tomato sauce factory". The Age. Retrieved January 6, 2012. ^ "Save the Heinz Factory in Leamington Ontario". Facebook. ^ "Heinz announces deal to keep Leamington, Ont. processing plant in operation". CTVNews. ^ "Highbury CanCo can process tomatoes in Leamington Heinz plant". cbc.ca. April 11, 2014. ^ Hutchins, Aaron (November 2, 2017). "Why French's ketchup is here to stay (sorry, Heinz)". Maclean's. Retrieved July 2, 2018. ^ Freeman, Alan (June 29, 2018). "Trudeau wades into U.S.-Canada ketchup war with tariffs on Heinz". Washington Post. Retrieved July 2, 2018. ^ Harris, Sophia (July 1, 2018). "Ketchup wars: Heinz defends its image as tariffs kick in on U.S.-made condiment". Canadian Broadcasting Corporation. CBC News. Retrieved July 2, 2018. ^ "Ketchup Tomato, Tomato Sauce, Tomato Ketchup, Chili Sauce". Heinz. Archived from the original on February 23, 2014. Retrieved February 11, 2014. ^ Vijayraghavan, Kala. "Heinz braces up for aggressive marketing." The Economic Times. January 7, 2010. ^ Mehta, Tanvi. "Kraft Heinz to sell part of India business for about $630 million". U.S. Reuters. Retrieved 2018-10-24. ^ a b "History". Heinz ABC. Retrieved May 9, 2015. ^ Firmansyah, Fery (February 15, 2015). "Warren Buffet Akuisisi Pabrik Kecap ABC". Tempo (in Indonesian). Retrieved May 9, 2015. ^ "PT. Heinz ABC Indonesia". Bloomberg Business. Retrieved May 9, 2015. ^ A. Windarto dan Siti Sumariyati. "Perjalanan Gurita Bisnis Grup ABC" (in Indonesian). Em En RIZAL. Retrieved May 9, 2015. ^ "Heinz Sauce Jobs Lost To Holland". Sky News. Archived from the original on July 24, 2010. Retrieved December 23, 2011. ^ Dale, Paul (July 21, 2008). "Now Spain starts making HP Sauce, too". Birmingham Post. Retrieved December 23, 2011. ^ "Secret history". The Brent Magazine. London Borough of Brent. April 2009. Archived from the original on September 10, 2010. ^ "Documents". Friends of the Earth. ^ Poulter, Sean (June 8, 2009). "Heinz creates world's smallest microwave (and you can plug it into your laptop)". Dailymail.co.uk. ^ "RIL's Jamnagar Refinery Listed Among The World's Top Five Refineries". GroundReport. October 30, 2012. Archived from the original on June 6, 2013. Retrieved February 14, 2013. ^ "About Heinz – Heinz UK and Ireland". Heinz. Retrieved February 14, 2013. ^ a b Kang, Xiaoxiao (February 25, 2013). "Sanquan Food acquiring Heinz's subsidiary in China". The Morning Whistle. Retrieved April 2, 2013. Condon, Richard (1959). The Manchurian Candidate. McGraw-Hill. ISBN 0-515-09441-2 (The Berkeley Publishing Group paperback edition). Dienstag, Eleanor Foa (1994). In Good Company: 125 Years at the Heinz Table. Warner Books. Wikimedia Commons has media related to H. J. Heinz Company. Fruit of the Loom, Inc. This page was last edited on 10 April 2019, at 12:33 (UTC).